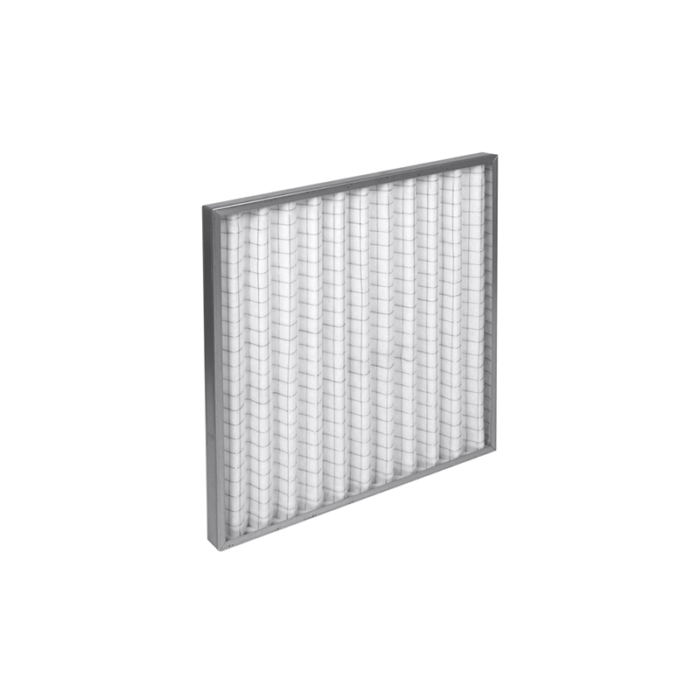 Panel filter with a pleated synthetic filter medium. 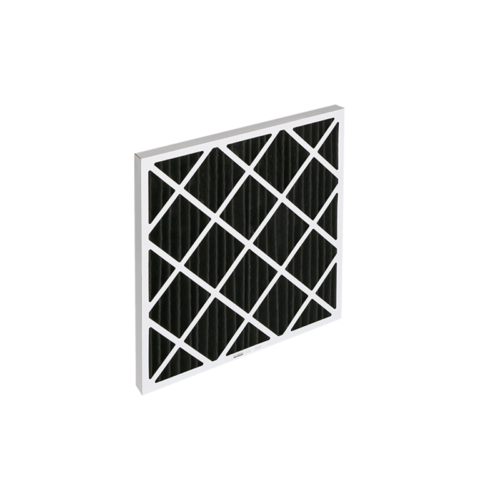 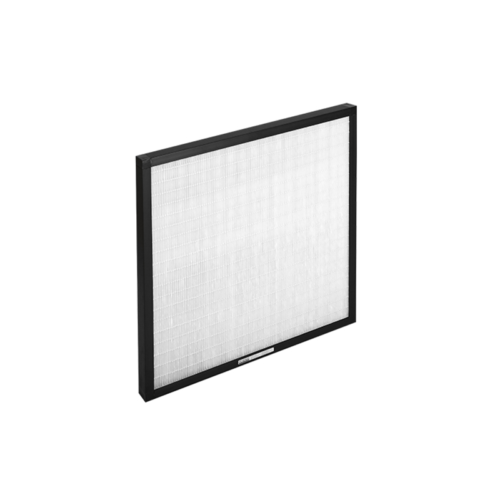 The filter medium is supported by a galvanized wire mesh both at the inlet and outlet side (size 12 x 24 mm). 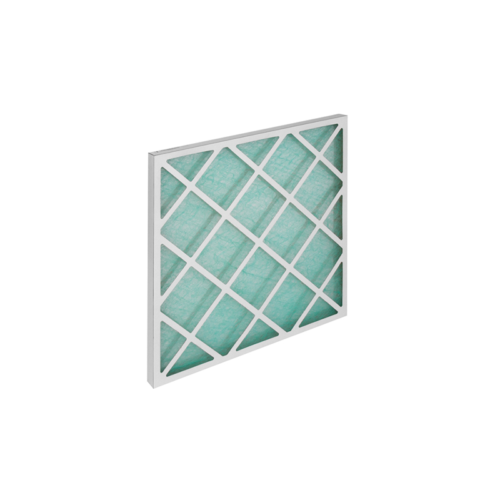 The filter medium is held in place by a galvanized steel frame. The pleated filter surface is 2 to 3 times larger than the total front surface of the filter.